Surfing is a year-round sport. Winter, in particular, is known for consistent waves and larger swells. Whether you are you an aspiring wave rider or you can hang ten with the best of them, knowing which beaches are best to visit during the winter season makes a surfing vacation a lot sweeter. So what are you waiting for? 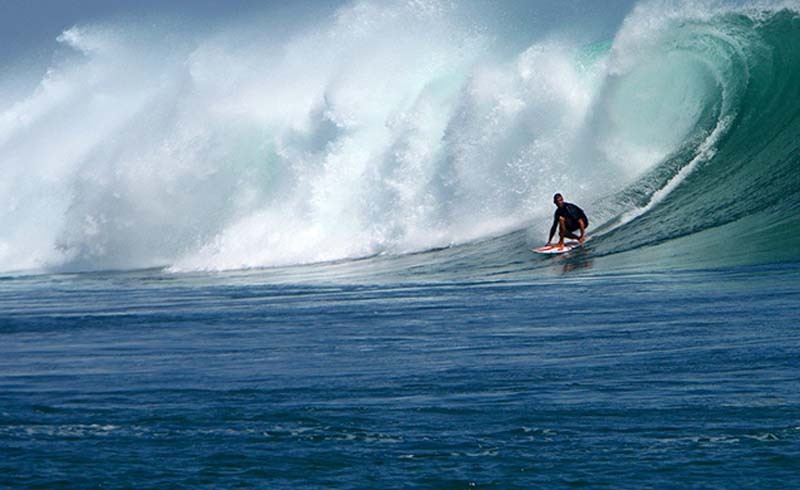 Grab your board, pack your bag, and head to one of these epic winter surf spots. It may seem like a no-brainer to say Hawaii, but picking both the right island and the right beach is key. Hanalei Bay, in Kauai, is where expert surfers flock for winter surfing—and often get up for dawn patrol. The two-mile (3.2-kilometer), crescent-shaped beach has larger waves on the right-hand side that are good for experienced surfers, while the waves lose their energy closer to the pier and are better suited for beginners and intermediate-level surfers. After a day on the water, treat yourself to happy hour at the extravagant St. Regis hotel in nearby Princeville—each night at sunset there is a champagne toast on the bar's balcony with an unforgettable view of the ocean. Located just off the northern coast of Africa, Fuerteventura is the second largest of Spain’s Canary Islands. It is often referred to as "the Hawaii of the Atlantic." Surfers from all over the world head to these beaches for perfect waves in the calmer winter months. El Cotillo, Punta Elena, and El Tubudero all have breaks that are suitable for intermediate level surfers. There are also several good places to improve your technique, including the world famous Quiksilver Surf School in the heart of Corralejo. It's not uncommon to run into many wind surfers, sailors, scuba divers, and fishermen in Fuerteventura, as well as whales, dolphins, marlins, and turtles. The Pacific coast of Mexico features plenty of surfer-friendly beaches. However, if you are just learning to surf, the best place to go is Sayulita, Mexico. This small beach town is located 25 miles (40 kilometers) north of Puerto Vallarta, a resort town with lots of boutiques and an active nightlife. On the left side of bay, the surf break is small, making it the ideal spot to catch your first wave. 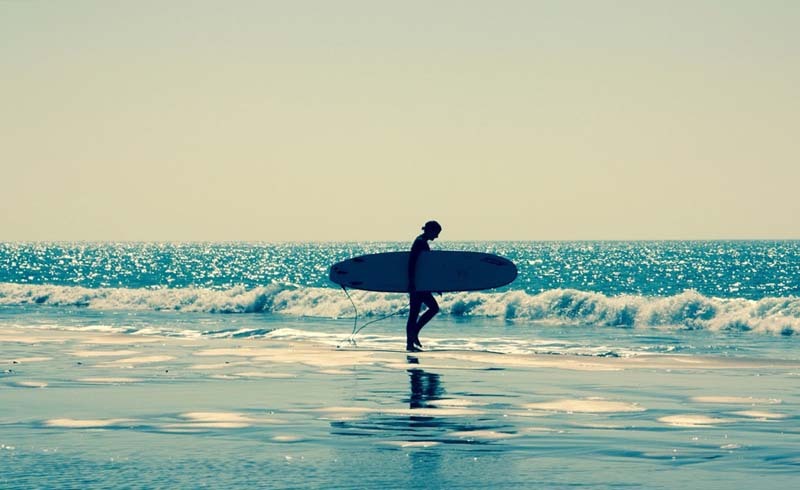 There are several surf schools that will help you learn to surf. Luna Azul is one of the best. Their expert instructors are in the water with you throughout your entire lesson. They’ll help you to paddle out, pop up, and ride in. Their central beachfront location has lockers, changing rooms, and a place to leave your bag. Surprisingly, surfing requires a fair amount of gear. In addition to your wetsuit, board shorts, and sunscreen, you’ll likely need essentials like beach towels, surf wax, a ding repair kit, spare fins, a board leash, and even a first aid kit. Toss your gear into a lightweight, rolling duffel bag or a mega-durable backpack that can withstand wear and tear and you will be ready roll in no time. What are your favorite winter surf spots? Are there any others that you'd add to the list? Share your two cents in the comments, below.